This game looked like a good one at the beginning of the season. Really, honest it did. 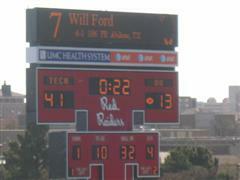 I expected TTU might be down a little with the moving on of Graham Harrell, but not this much. Plus, even with the injury to Sam Bradford, OU should have been better than this. In what I thought would be a matchup of two ranked teams and maybe a Big 12 division on the line, it was in fact a battle to become bowl eligible. Al really needs to step up and suggest games, because my track record does not look good at this point. > A few boots, but no spurs. > A flight attendant told the guy behind me that he needed to stay out of the aisle because she needs a “visual pathway” down the entire plane and she could not get that if he stood in the aisle. That’s the first time I heard that. I guess it would be too much for her to move her head to obtain a visual pathway. That’s lazy. It’s not illegal, it’s frowned upon, like… masturbating on an airplane. I’m pretty sure that’s illegal too. Yeah, maybe after 9/11, where everybody got so sensitive. Thanks a lot, Bin Laden! > Wouldn’t it be interesting if there was a driver’s license style points system for pilots? Speeding is some points, wandering onto the wrong runway could be more, flying under the influence could be suspension, and over flying an airport because you are distracted could be you are fired. Upon arrival in DFW, we make our way to the gate for Lubbock. Al frets as it is in the section with the prop planes. Ours is a jet, but Al observes if an 80k stadium (we later learn he is 30k off on this) is a prop, we may be on some hot air balloons on this quest. 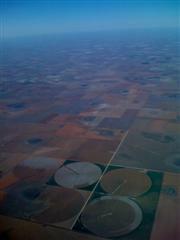 The flight from DFW to Lubbock was a good football flight. Some Texas Tech colors, some OU colors. This is what a small plane to a football school should be the day before a game. I even get some tips on where to go from an Oklahoma fan who has done this trip before and a former resident of Lubbock. We arrived at campus and I have to say that I was very impressed. I cannot say what my expectations were since I don’t think I had any, but this is a beautiful campus. I later found out that the whole campus is Spanish Renaissance Architecture and I became a big fan. The only thing missing was grass that wasn’t brown, but at least it was real grass, dead, but real grass. This campus is what you picture a college campus to look like. We even learned that Casey doesn’t like basketball and shops at Victoria’s Secret (“And by the way, they’re real, and they’re spectacular”). We attempted to get into the stadium for the usual kicking of the field goals, but were not successful. 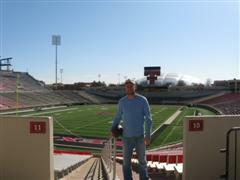 We got into the stadium, but only to take some pictures, as there was no getting onto the field. 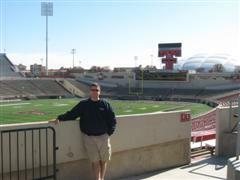 I was quite impressed by the stadium as well. I was surprised at the size as I expected it to be larger, but it was still a very nice stadium. The press box building that matched the Spanish Renaissance Architecture of campus may be the nicest press/luxury box that we will see on this entire quest. Leaving campus, we headed to the hotel. We made a slight detour to see the “strip”. Lubbock used to be dry and there is a long story to this and you can Wikipedia it, but the upshot is there is a cluster of stores that was known as the strip due to its resemblance to Vegas and neon signs, or at least that’s what the guy at the rental car counter told us. There were a lot of neon signs, but Vegas or Vegas like it was not; there was barely a strip, no strippers, and no casinos. 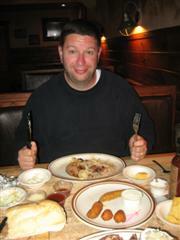 At dinner, I finally got my BBQ at Bigham’s. It was good, not great, but the craving was finally met. After dinner it was onto Firehouse Bar. We got a very nice bartender who attempted to find the Islander game. Hockey in a bar in Lubbock was just too much to ask for so instead I settled on Gator basketball. Nice! And to save you the trouble of figuring out what team the Gators were playing, it was Troy. Please, no comments about schedule because the Gators have been in the NIT the past two years and its November. Lots of “bounce” in this bar and some was too much. Wakeup on game day was again quite early. Those 11:30am local kickoffs are tough. What is with the weather in Lubbock? Twenty-five degrees in the morning going up to seventy at mid day is very messed up. How do you pack for that? Breakfast at IHOP (IHOP is far superior to Denny’s) right off campus got us onto an interesting question. 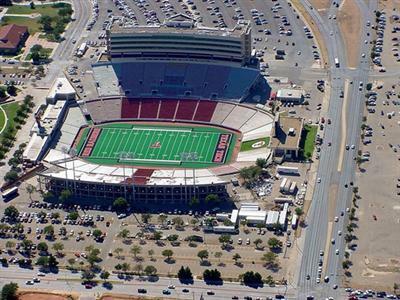 A TTU student told us that TTU has the largest campus in terms of area. This didn’t seem right and mobile phones out, we confirmed it wasn’t. Berry has a very large campus. It must be a farm. 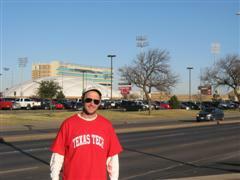 But, TTU is large and that made us realize we missed at least half the campus while walking around the day before. We will have to correct that some time today. Why is the student union food court and bookstore closed on game day? Walking around the tailgates, comes another idea from Al, that I believe will never happen, but he will bring up repeatedly…”We should rent an RV for one trip so we can do tailgating right, maybe to Memphis and Graceland”. Good idea, it will never happen. > Is Yosemite Sam the red Raider mascot? > The Red Raider rides the black stallion. > The Crazy 8’s race is the dumbest stadium event and we have seen some dumb ones. > The stadium was not sold out. 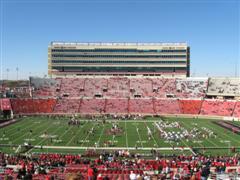 I thought this was truly big time football, but a 50,000 seat stadium not sold out for a game against Oklahoma is bad. > And Leon’s getting larger. > With the score 34-6, Oklahoma completed a 51 yard pass for a TD. Ryan Broyles who caught the pass gets a flag for taunting on his way into the end zone. This is inexcusable and he should have been kicked off the team right then and there. They should have made him walk back to Norman. How selfish must you be, to taunt your opponent when you are losing 34-6? 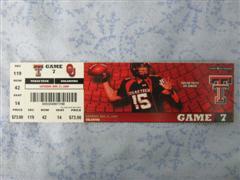 > TTU fans are very respectful, considerate fans. I guess this is the Southern hospitality I have been hearing about. There is good natured fun with opposing fans and it is a hospitable environment. This is in direct contrast to Maryland. TTU is an example of how to host. Very nice people. Nice job! > Jump around song was a nice rub it in your face to Oklahoma. > Sunburn on only the left side of my face…that will look good tomorrow. After the game we made it around to some of the campus we had not seen the day before. Shouldn’t Subway be a lot more crowded right after a game? This is not good for the long term business model. 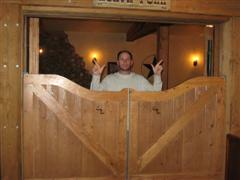 Then back to the hotel for some rest before it was onto the Texas Tech Red Raiders versus Lamar in basketball. Nice basketball arena if only 20% full. Lamar needs to practice their free throws. After basketball…Cagle Steaks for dinner. It is a little scary when directions are 4.5 miles outside the Loop on 4th street. I didn’t think there was any way we would find it. Is it a good sign when you feel the need to send a text to a friend back home that if you are never heard from again that this is where you were last headed? We had to go around a few detours and leave the bright lights of Lubbock behind us, but we eventually made it 15 minutes before closing. We were one of two tables and the other table left before we ordered. I felt a little bad keeping the staff, but that is business. It was well worth it. The fixins’ and other stuff were nothing special, but the steaks were fantastic. One of the best I have ever eaten. We took some steak rub and BBQ sauce for home (the sauce would later need to be left a Lubbock airport security as it is a liquid). I even have the intention of ordering some steaks via mail order. If you are in Lubbock, I highly suggest finding your way to Cagle Steaks. 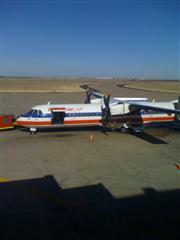 The next morning it was back to New York via Dallas on a prop plane from Lubbock to Dallas. According to Singerpedia (this is a new source of information that is completely trustworthy and not at all biased), prop planes are better maintained than jets, they just have less experienced pilots. Point of information; always check the backseat of your rental car before turning it in, not after you have cleared security. Points of observation and not totally independent; St. Thomas University is in Houston, their website provides stalkers with too much information, and their volleyball team was at the Lubbock airport. Al also saw the Lamar basketball team at the airport. If I had my pilot’s license and we rented a plane we would be home already, maybe not alive, but home. > LaGuardia must be the worst airport in the country. > We determined the first instance of the cold makes you stupid was at Northern Illinois. > Texas makes you stupid. > Al first suggests that we take pictures holding a W or L for our picks. Let’s see if this has staying power. > Al observes that Alexis could be convinced to come to a game if beer is promised, there is good food, and nice weather. I observe Beth could be convinced to come to a game if it is in Hawaii or California. 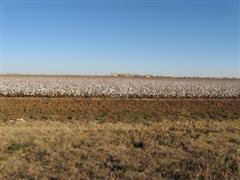 > The Lubbock airport is in a cotton field. 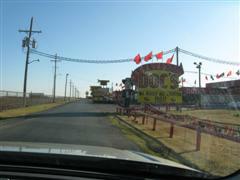 Al got a cactus or porcupine quills while trying to take a picture of the cotton field. > Should we be on the lookout for snakes? > There are a lot of Dollar General’s in Lubbock. > Trivia question: Other than Hawaii, what Division I-A school is the furthest distance from any other Division I-A school? Well, it wouldn’t be in this write up if it was not Texas Tech (or at least I think it is TTU based on my map). This shocked me given how many schools are in Texas, but I guess that shows how remote Lubbock is. > There are a lot of bars on windows at TTU, which is surprising given that most buildings are 2-3 stories tall. 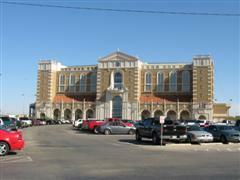 > The curbs in Lubbock are a weird height and there are many double curbs. Either that or we just can’t walk properly. > The walls at the Red Roof Inn in Lubbock are made out of paper. I guess it save a lot on construction costs. > Dion’s sound high class, but it is a pizza place. > The talent at TTU is solid, not outstanding, but very solid across the board. 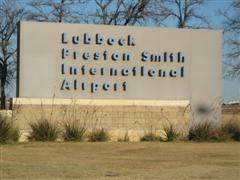 > An airport should not be allowed to be called Lubbock International Airport if your only international flights are connections. By that logic, every airport is an international airport. > How is CityBank not sued by Citibank. > Al is second fiddle in Alex’s text replies, so he deserves his surprise and Al plans on bringing up his surprise weekly. I truly enjoyed this trip. 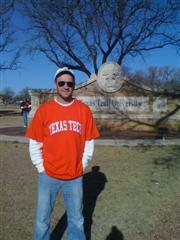 Lubbock is a nice city, TTU is a beautiful campus, and the people are very friendly. My kids can go to school here. I did in fact order steaks via mail order from Cagle Steaks and they are fantastic. As of February 2011, I am still ordering steaks from them on a regular basis. You should check them out at www.caglesteaks.com. Fantastic! The RV idea has some staying power. More details on our RV ideas are in the Iowa write up. The Iowa trip is where this idea really takes off. Wikipedia has reserved all xxxpedia sites, so the launch of a Singerpedia site will not be possible. Alex’s surprise was finally revealed to him on October 8, 2010. There is now a brick in Gainesville on the Gator Walk that is specifically addressed to Alex. And the battle rages on!